Born in 1944 in New Jersey, Danny DeVito is an American actor and filmmaker. He rose to fame with his role as taxi dispatcher Louie De Palma in the television series "Taxi" that aired from 1978 to 1983 and bagged a Golden Globe Award and an Emmy Award. People also remember him from cult films like "One Flew Over the Cuckoo's Nest" and "Big Fish" as well as blockbusters like "Batman Returns." DeVito has a famous film company called Jersey Films, which he founded with Michael Shamberg. Jersey Films has created successful productions like "Pulp Fiction" and "Erin Brockovich." Danny DeVito has had a long and successful career in acting, directing and producing. He currently stars as Frank Reynolds on the sitcom "It's Always Sunny in Philadelphia." Daily Sabah conducted an interview with the doyen on his career and cinema sector. DAILY SABAH: What are you up to these days? 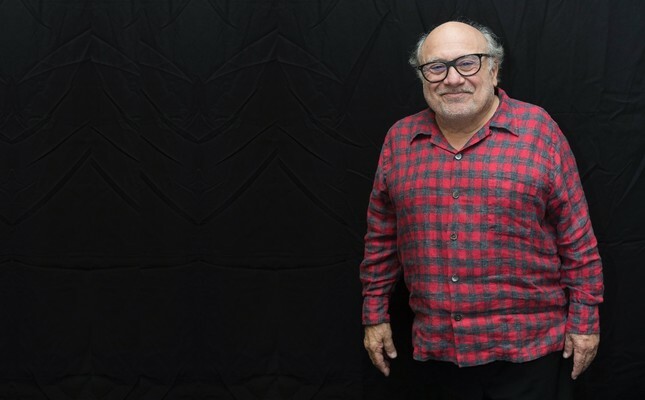 DANNY DEVITO: I've been doing this really crazy show, "It's Always Sunny in Philadelphia," for 13 years now. And we do it every year. I have been looking for something to direct. You know, I'll find something to direct. I'm really still very interested in filmmaking, movies, developing things to produce. So, I don't want you to think I'm lazy, I'm really looking: I'll give you a good movie one of these days. n DS: How do you feel about the big debate about Netflix versus the big screen? DEVITO: I think I like to see movies on the big screen. I really like to go to the movies and see them on the big screen. However, I do like the idea that we're moving into the 21st century, and we can put movies on our devices, and we can watch things on TV. And that we make more products and give people more chances to work. Directors and artists, writers, designers, costume people, whatever, everybody needs a bigger palette. Let's open it up. They have a lot of money; they can support us on Netflix and whatever. If you want to do a movie just for the movie theaters, there are plenty of studios out there that you can work with, whether it's Warner Bros. or New Line or Sony Classics. Depending on the style or type of movie that you have. So, I like the idea of content opening up so we can see more. I did see "Roma" on the big screen, I wanted to see Cuaron's movie on the big screen. I try to go to the movies to see the movies, even though they send you all the screeners. But I try to get out to the movie theaters to see them. I love going to the movies, big huge screens, a box of popcorn, going into that mysterious place. It's just the best. DS: So, you actually go and buy a ticket and go to the theaters. DS: If I'm not mistaken, you're going to be 75 this year? DS: Well, you had such an amazingly long career. Yes. You get up every day, "Well, I'm awake. I'm up, I'm up. And I'm a day older." Another day older, that's right. It's good. I'm blessed with a good career and I keep working, I just want to keep going, I don't ever think I'll stop, retire. I mean, we're all going to stop someday. But, it's been good. DS: You did a cameo in the "Kominsky Method" with Michael Douglas. When good friends ask you to do a cameo, do you always say yes? Not without looking at the script. But I knew Michael; I would do that part in the "Kominsky" project. It was so much fun. DS: If you go back, and you look at your experiences, who was someone who really amazed you in entertainment? An actor, an actress, somebody who made you think "Wow!" Fritz Lang. Eric Von Stroheim. Who is amazing? Billy Wilder. And Milos Forman was a big influence for me. I loved working with Milos; I worked with him a couple of times. I acted in "Cuckoo's Nest," and I produced "A Man on the Moon" that he directed so brilliantly. And then there are actors I worked with; Jack Nicholson was one of my idols and my favorites. I loved being around him. He is always different, he is always exciting, and that's great. Barry Levinson, I worked with in "Tin Man." I'm going to do another movie with him. I'm going to Budapest, by the way. I've never been there. But there are so many people that touch you, you know. DS: Your last movie "Dumbo" is coming out soon. How was it working with the very talented director Tim Burton? DEVITO: Everybody has their own style. I've worked with many, many directors that we know and love, and everybody has their own take on it. This is my fifth movie with Tim Burton; four he was directing, and one, he's in one of the movies that I directed. And the thing is that you take "Dumbo," this incredible story, and you give it to an artist like Tim. And you know that it's going to exponentially explode into the stratosphere, in terms of, not only preserving the themes that were in the original, really well-done, a 63-minute cartoon that Walt Disney made. So, to answer your question, I think he paints with us. I feel like part of his paint box. Like, he'll take Colin Farrell and I and Michael Keaton and Eva Green and the kids, and all the jugglers and all the clowns and all the massive props. The way it's lit, and everything, and onstage in front of you, you can watch him do this if you're lucky enough to be in one of his movies, or around the set. You can see that thing emerging in front of you, and where he's going with every single beat. So, it's a very exciting thing to work with him. I was blessed to be in "Batman Returns," we had a great time, and then "Mars Attacks," and "Big Fish" and now "Dumbo." Really, it's a pleasure to work with him. DS: Has he changed? Does he stay true to his thing that he's quiet? He communicates in a visual way. First time I met him, for "Batman Returns," that's what's wonderful about it, you really get into his world and what he's thinking through his visuals. We converse, talk about the character and what's happening, of course. But you really get a great sense of it when you have visual aides and things, because he draws all the characters. He lets you into his head. And so that's really the best thing about it. He's very open about what he wants to do, he knows what he wants to do, and he communicates with images. DS: What about your personal relationship with the circus, and do you remember the first time you went to a circus? Absolutely. I was a big fan of the circus. I lived in New Jersey, and the circus would come to the outskirts of town, from Asbury, and I'd go. My family always took me. I loved it. I loved the high-wire acts, basically, in the lot, and the juggling. Like everybody else. A little bit afraid of the clowns when I was a kid, but I really enjoyed going. DS: I'm a big Andy Kaufman fan. Are there any special memories growing up on "Taxi"? Andy and I, we shared the stage. One day we were out in the hallway and we were just talking about what was happening around us, and a woman came in to deliver a package. She was pretty big; she had a UPS uniform on or a postal uniform. Andy just broke into this horrifying guy, you know, Tony Clifton? And he threatened her; he wanted to wrestle her. He went into this kind of thing where he kept telling her, "What are you doing taking a man's job? You should be home in the kitchen cooking and taking care of babies!" That was it. And she threw down with him right there, right in the hallway. Wrestling in the hallway. They're on the ground, right there in front of you, with red faces. Now, I have to say that after I knew him for a really long time, I would think back at that day, and I think of Andy because of the way he was. It was some little thing inside of me that suspected he rented that costume, he got that package, he just did it for us. He did it for everybody who came to watch. "Oh my God, he's wrestling this woman!" And we were all horrified. He was a great guy, great comedian.